Replacement entry doors emerged during the 1970’s. The steel “L” frame shored up the jamb giving it the security that homeowners desired. 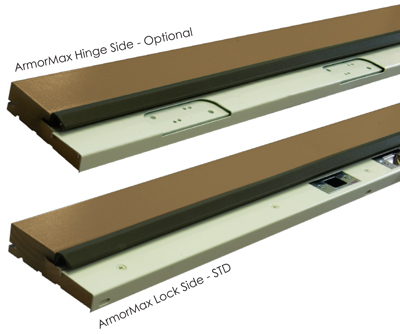 The ArmorMax Jamb™ System replicates that security in a pre-hung door by having an 18 gauge steel “L” frame embedded in the jamb on the lock side. And if needed hinge side. 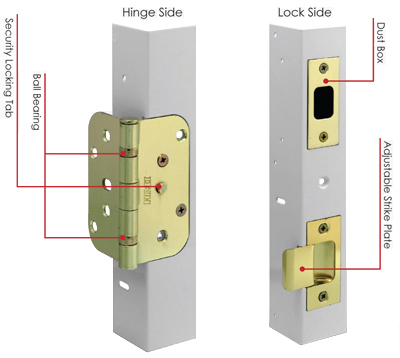 Steel Replacement Frames are constructed of 18 gauge galvanized steel with 10 gauge plates located on the lock and hinge sides for extra reinforcement to help keep intruders out. White is standard. Steel replacement frames are utilized when removal of the existing jambs is not practical. 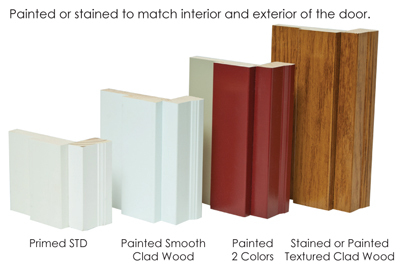 It allows for a new door to be adapted into an existing jamb, providing new hinge & strike plates while hiding the old hinge and strike cut-outs.